Disciplining and Establishing Broundries for your Nanny. Parenting styles vary from family to family. While one family may have a strict set of rules and follow a consistent daily schedule, others may be more relaxed and look to their children to dictate the flow of their day. While your nanny has likely had experience working with a variety of parents, their parenting style was likely different than yours. 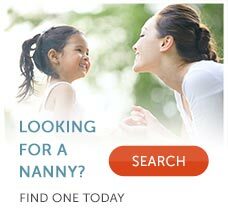 For your nanny to succeed in her job, it's essential that you communicate your parenting style to your nanny. It is important for you to clearly communicate with your nanny how you guide your child's behavior. Some parents prefer using time-out, others offer redirection and still others take away privileges for poor behavior choices. Helping your nanny to understand how you view and implement discipline can ensure that she is consistent in adhering to your family's style. If there is parenting book that your family uses as a guide or a reference, recommend that your nanny read it. If there is a model of parenting that you adhere to, like attachment parenting, provide her with resources to learn more about it. Only when your nanny clearly understands your parenting style is she able to support it. You'll also want to provide your nanny with a list of house rules. Hanging them in a convenient location, like on the fridge, can help keep them in the forefront of both your nanny and children's mind. Under no circumstances, should you ask or expect your nanny to physically discipline your children. Nannies should never agree to spank or provide other forms of corporal punishment to the children in their care.